Sophomore Tanner Fortson records a late game interception against Lewis County. Musketeer head coach Scott Grizzle knows his team must improve their discipline in the early stages of the season if they wish to compete for the top spot in the district. 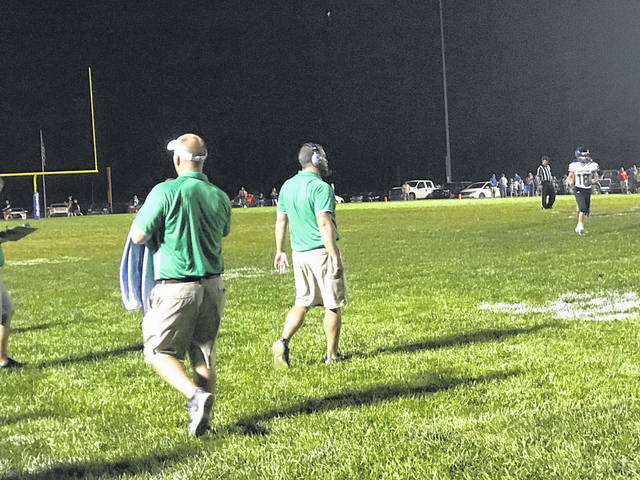 The Greenup County Musketeers defeated the Lewis County Lions Friday night by a final score of 46-7. Offensive variation was the name of the game for Greenup. Greenup, who is known for their high efficiency offensive gameplan and led by head coach Scott Grizzle, showed that during the 2018 season they will not rely on one single player to carry the workload. Halstead and Burgess led the rushing attack for the Musketeers in their victory Friday night. Halstead, who is a senior this season, finished the game with 135 yards on eleven carries and two touchdowns to start off his senior season. Burgess had an incredibly efficient game on the ground for the Musketeers totaling 79 yards on two carries for two touchdowns. Junior quarterback Eli Sammons led the Musketeers on the offensive side of the ball, finishing the game 9/14 with 135 yards and throwing for three touchdowns as well. 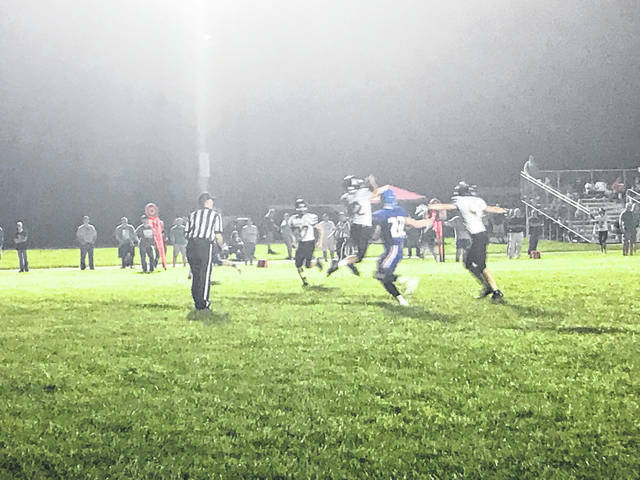 Sammons main targets in Greenup’s opening game were senior Patrick Kelly who caught three passes for 60 yards and one touchdown, junior Austin Evans who caught three passes for 29 yards and one touchdown, and Austin Clarkson who caught two passes for 39 yards and one touchdown reception. Defensively, the Musketeers forced the Lions into four turnovers including an interception made by senior Patrick Kelly to go along with his receiving touchdown. Sophomore Tanner Fortson recorded an interception late in the game once the running clock had started against the Lions. Senior Brecken Thomas also recovered a fumble in the second half after an excellent run by Lewis County running back Garrett Applegate turned into a loose ball in the open field near the Lions sideline.